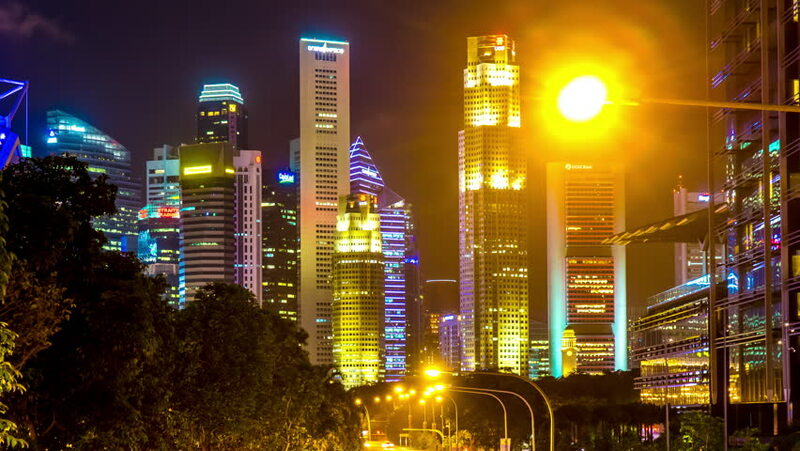 SINGAPORE - FEBRUARY 15: Time-lapse view of the traffic at night in the city on February 15, 2016 in Singapore, Singapore. 4k00:05GUANGZHOU, CHINA - SEPTEMBER 29 2017: 0night sunset time illuminated guangzhou downtown cityscape aerial panorama 4k timelapse circa september 29 2017 guangzhou, china. 4k00:12HONG KONG - CIRCA APRIL 2015: Business district and traffic night view, time-lapse. hd00:07Hong Kong, China - december 10, 2016: Aerial view time lapse of Hong Kong skyscrapers at night from a sky Bar, in Wan Chai, Hong Kong island. Fisheye view.